Welcome to our August Newsletter! Did you know the phrase “dog days of summer” is actually rooted in astronomy and not weather? In today’s world, it means the hot, sultry weeks of late July through August. 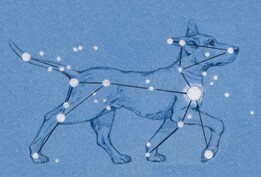 But the meaning originated with the ancient Greeks and Romans, and refers to the dog star Sirius, the brightest star in the sky during this time. 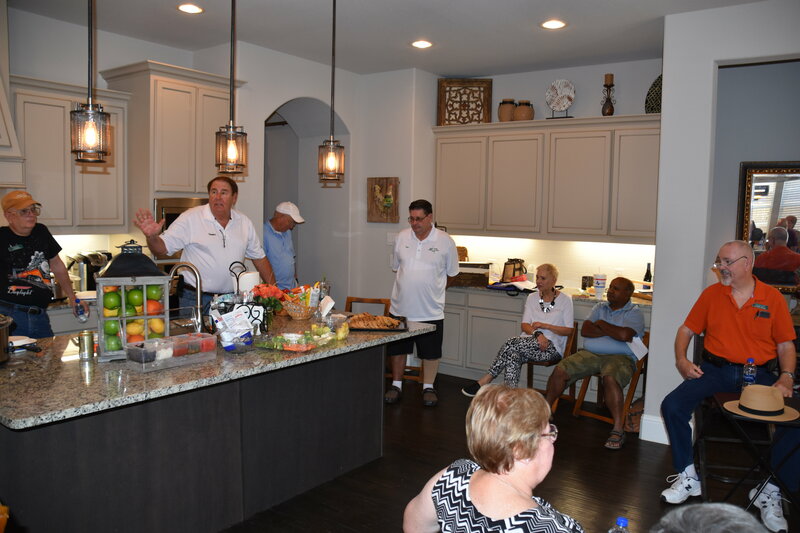 Read on to find out about recent Club events and updates on upcoming activities. 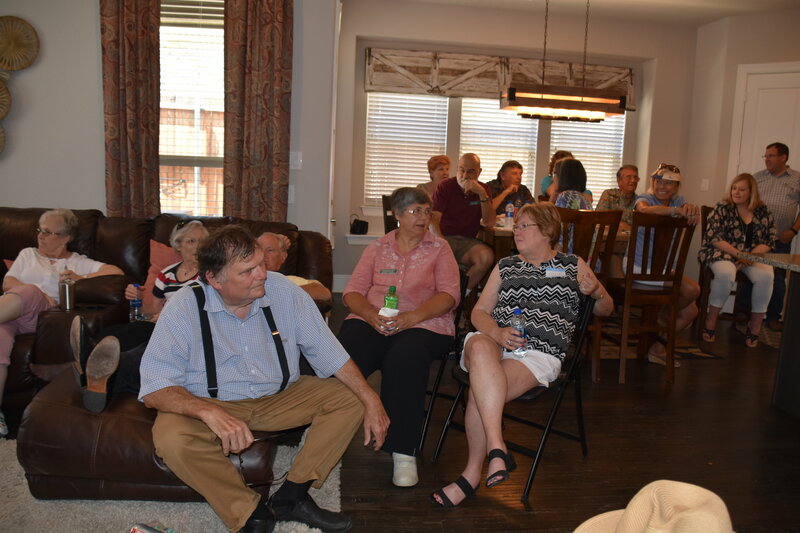 The July 15th home meeting at the Weatherford’s home was a huge success. 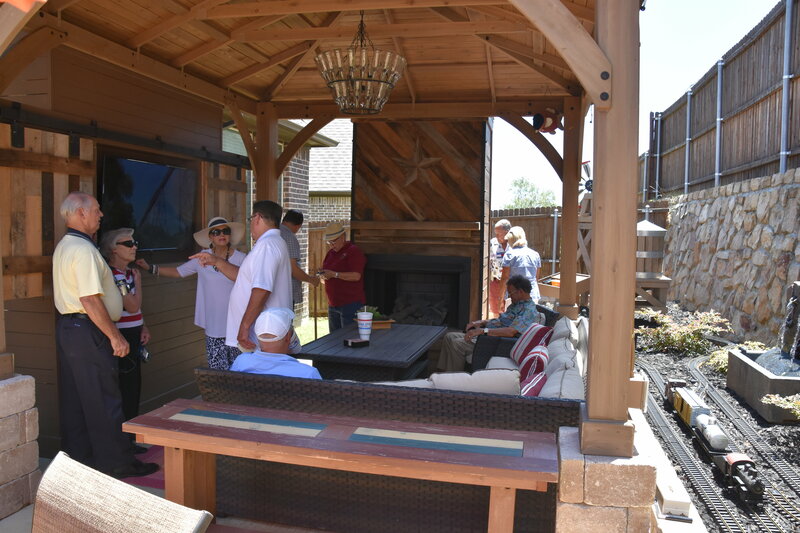 Lots of people, nice new layout, but Mike was so proud of his outdoor fireplace it was hard to make him turn it off. Temperature in the shade was 105⁰. Lots of you have been asking about when we can lay the DG (decomposed granite) out at Clark Gardens. Well, the retaining walls are installed and back-filled with road granite. We have a couple of bridges left, but that is not going to slow us down. 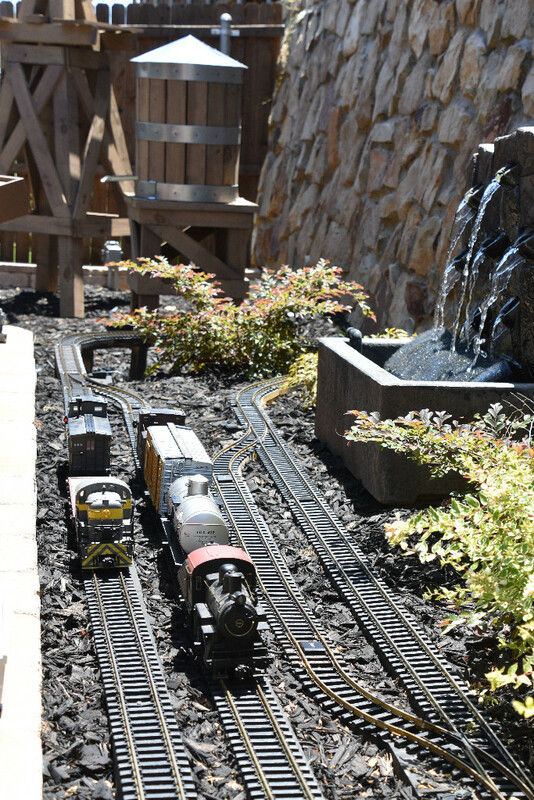 The Gardens are rented out for the weekend of August 18th, so we need the trains up and running. We are planning an early start (rough for us living in the Dallas area because it is a long drive) on August 13th with a back-up date of August 14th for bad weather or if we do not finish on Monday the 13th. We will meet at 8 AM on both days if necessary. Come in the back way as the main parking lot and main gate will be closed. Email Pete Dahlberg for directions. Mike Pritchett is still fixing up buildings and the trains are running with new bridges being installed all the time. David Valdez is assisting in the installation of the final two replacement bridges and support for a current bridge, and the LED lighting of the inside train station is moving along. The Cook Children’s Hospital train run is scheduled for next Tuesday, August 7th, and we hope to see you there if possible. Lane will cover that in the next issue. Last but not least. We need more members from the western side of the Metroplex and are of course always looking for more female members as well as members under 40 years of age. My goal is more female members, lower the average age of members AND get our current members more active (come to at least one home and one train run each year AND the Christmas gathering). We have some members I have forgotten what they look like (of course, at my age that is not a big issue - it happens a lot lately). Ask friends or family if they would like to come to a meeting. Especially those with kids on the train run days. (Kids 6 to 80 years of age.) Also, bring them to our home meetings. Our Christmas gathering however is for members and their partner/spouses only. 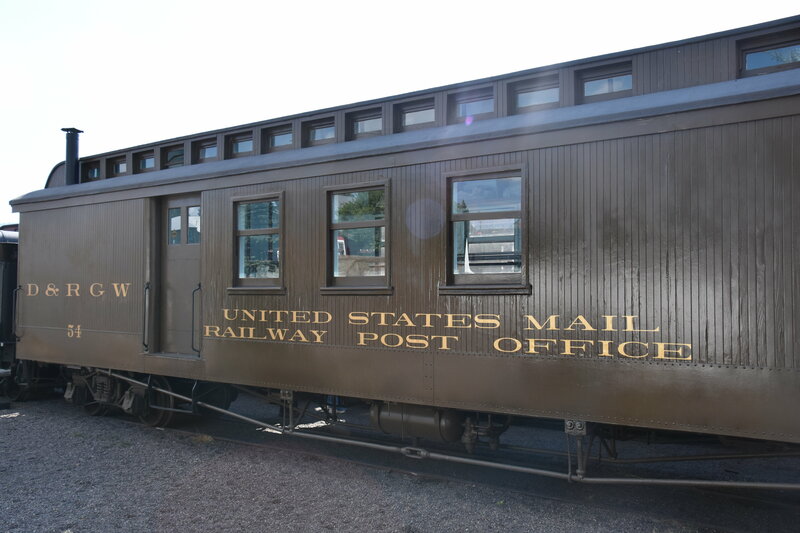 Recently, we have had a member ask about having a swap/for-sale train meeting. This would be in addition to our 6 home meetings and 6 train runs. Then a week later, another member stated he had an extra room in his business and that would be great place to meet and buy and sell train stuff. So, at Cook’s and Clarks’ tell a board member what your opinion is on this. We are always looking for new ideas for our group. Some may work out, and some may not, but unless we try, we will never know, will we? The 2019 NATIONAL GARDEN RAILWAY CONVENTION Is being held August 27th through the 31st, 2019 in Portland, Oregon. This does conflict with our Club commitment of running trains at Clark Gardens on Labor Day weekend, August 31st and September 1st, 2019. Clark Gardens set up will be on August 30th, 2019. 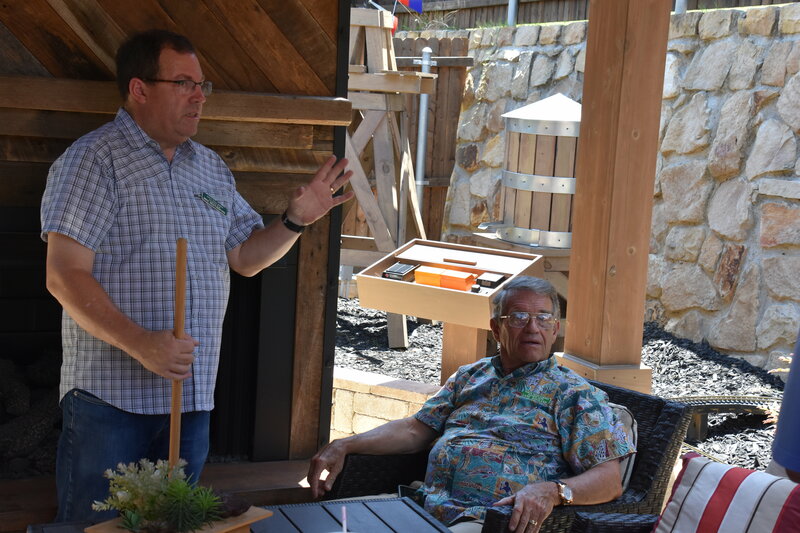 2019 - 35th NATIONAL GARDEN RAILWAY CONVENTION, Portland, OR, 27th to 30th August 2019. Will you be there? August 7th Train Run, Cook Children’s Hospital, 801 7th Ave., Fort Worth, TX 76104. 8:30 to approximately 4 PM. Click HERE for a detailed campus map of the hospital. September 1st & 2nd Clark Gardens Train Run, set up August 30th approx. 2:00 o’clock PM. 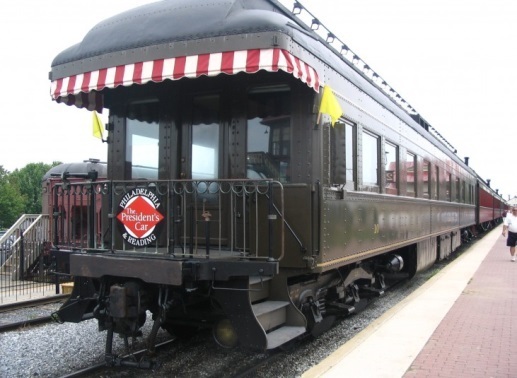 September 29th & 30th Plano Fall Train Show, set up September 28th approx. 1:00 o’clock PM. October 21st Home meeting at Dave and Cindy Valdez, 129 Hidden Valley Airpark, Shady Shores, TX 76208. You can drive or fly-in for the meeting at 2:00 o’clock PM, your choice. 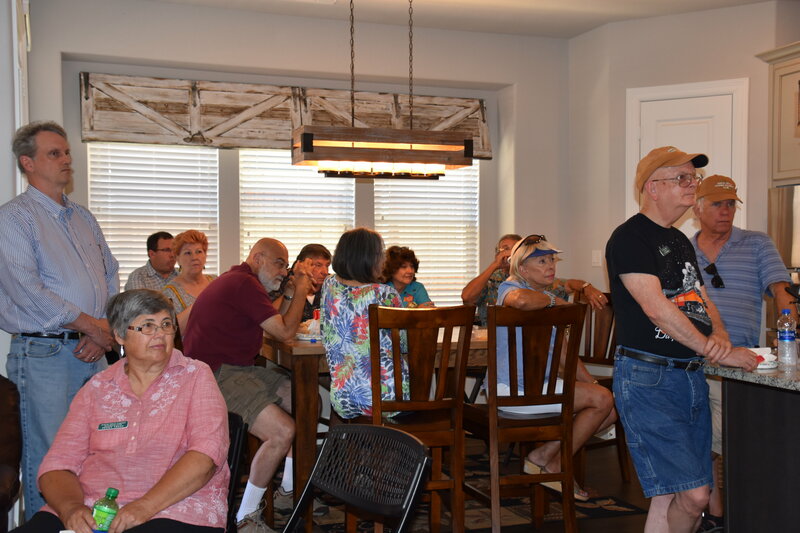 We held another new member’s meeting at Mike and Karmen Weatherford’s home in Lewisville on July 15th. Mike has built a huge gazebo and railroad in his back yard. He has done an amazing job in a small space but unfortunately it was 105 degrees under the gazebo so we made him turn off the new fireplace. There was a large turnout again - we are taking in a lot of new members and the meetings are becoming much like the ones in the 90’s. Below are some pictures from the event. Please welcome the new families and let’s see if we can help them to get involved in the club. The Board is constantly recycling its members and we really need some new blood to keep moving forward. 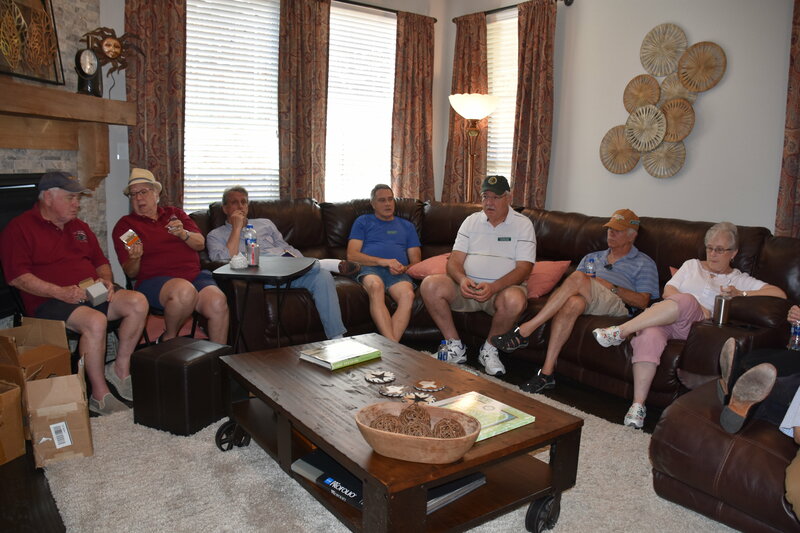 Johnny Nelson and James Greenlee are the latest new Board members and we thank you guys for volunteering --- we are just hoping we can keep Johnny awake. Q: I’m new to the idea of G scale. Where do I start? Buying trains, designing layout? What kind? What manufacture? New or used? A: This opens up all sorts of questions. 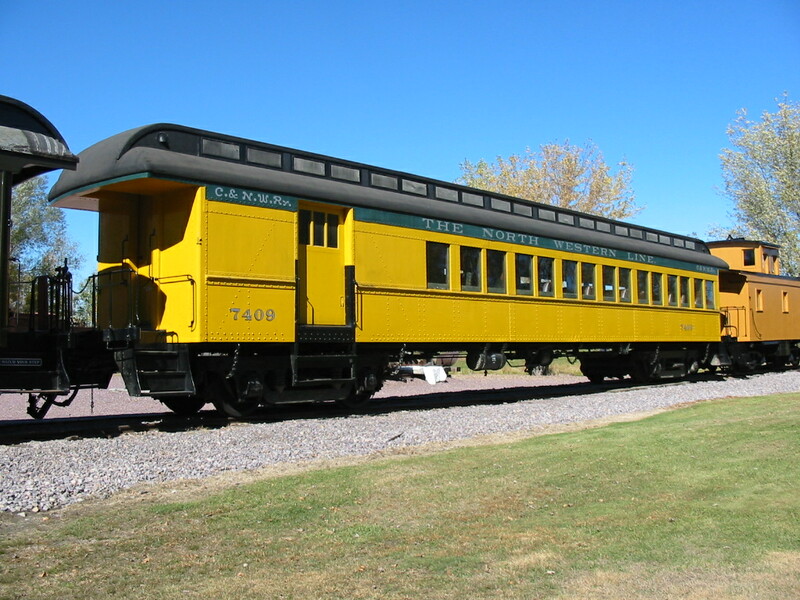 The first that comes to mind is what do you want to do with the train? The second is do you have any equipment that you want to use? The third question is how much money do you want to spend? If all you want to do is run a train around the Christmas tree (it is almost that time) and you have no equipment, then the best solution is to get a starter set from one of the manufacturers. Bachmann, LGB and USA Trains all have starter sets which include an engine, several cars, a circle of track and a basic power pack. Prices will range between $240 - $400 depending on the manufacturer. It should be noted that Bachmann has 2 “Thomas” starter sets which go for approximately $200. If you have some equipment, presumably an engine, then you will need to first determine if that engine will run. If it doesn’t then you will need to determine if the repair cost will exceed the price of a new starter set. If the engine runs then you will need to see about getting some cars, track and a power pack. Car prices will run between $40 - $90 for new stock. Track will typically run about $7/foot, for example a case (12 pieces) of LGB 12” straights goes for about $75, a case of 4 ft diameter curves is about $90 and a case of 5 ft diameter curves is about $170. G scale trains typically draw more amps than smaller gauge trains. Therefore, if you are looking for a power pack, you should look for at least a 5 amp capacity, preferably 10 amp. A power pack will typically run $90 - $180. Does an engine run without excessive noise? Does the engine run smoothly without stuttering? Does the engine run without excessive wobbling? Does the engine look cosmetically in good shape? Do the wheels of the engine appear to have excessive wear? Do the cars have plastic or metal wheels? Metal is preferable. Do the wheels of the cars appear to have excessive wear? Do the cars look cosmetically in good shape? Is the track brass, aluminum or stainless steel? Brass is generally easier to work with and conducts better than the other two. Is the rail solid or is it tubular? Solid is preferred and if it is tubular the rail is generally steel and will rust if used outdoors. Does the track appear excessively worn? Does the track appear to be unwarped? Does the track have corrosion, specifically on the railhead? Does the power pack output from 0 to the full advertised voltage? It is not unusual for power packs to lose the capability to vary the voltage. Does the power pack have a working reversing capability? Does the power pack have a separate Accessory tap? This is preferable and the tap can be either AC or DC and will typically be of fixed voltage. If present, this tap should put out the documented voltage. Does the power pack have the capability to run a single engine? What is the purpose of the RR? Will it be passenger, freight or both? What era will the RR be? Will it be steam, diesel or both? Will the RR be narrow or standard gauge? What sort of elevation changes will there be? You should aim for grades of 2% or less. What sort of drainage will be required? Do any of the engines or cars you will be running require bigger curves? LGB has advertised that all their equipment will run on their minimum curves, but other manufacturers do not do this. Some engines or cars can require 10 ft diameter or greater curves. Develop an inventory of the track you have used in developing your layout which will then allow you to cost out approximately what the bill for track will be. Automatically calculate what sort of cut pieces you will need to complete the track plan (if it doesn’t work out to full pieces). Calculate the grade of your track merely by entering the heights of 2 points on the track. Move sections of track by clicking and dragging. Develop a diagram of supports for the track and scenery on a separate layer which can then be readily combined with the track plan. Readily create different versions of the plan so that different options can be tried. Show a 3-D rendering of what the track plan will look like once heights are entered on segments of the track. Above all, have fun and if you have additional questions, ask one of our club members. That's a wrap for our August Newsletter. I hope to see many of our members at our next event - the Train Run at Cook Children's Hospital in Fort Worth on Tuesday, August 7th. Thanks for reading.